OnStar has announced a new mobile application for GM vehicles fitted with its RemoteLink system. 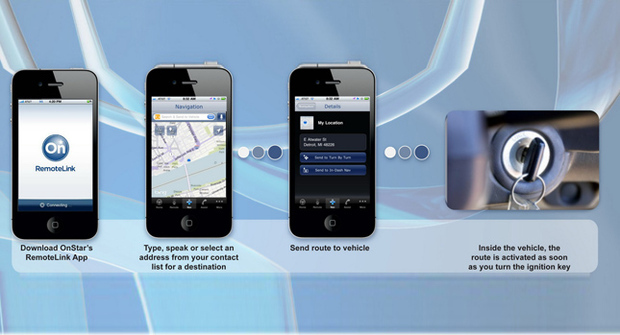 Theapp allows drivers to search for a destination on their smartphone and send it directly to their cars via text message or voice mail. The system can store up to five endpoints.Once the driver starts up his or her car, the route will be readily available and navigation will be activated. “RemoteLink’s navigation enhancement offers our customers another choice in how they get directions, whether they’re in their car, on their computer or using their compatible smartphone”, said OnStar’s director of advanced system design Steve Schwinke. The enhancement is already available for download on Android and iPhone app stores.